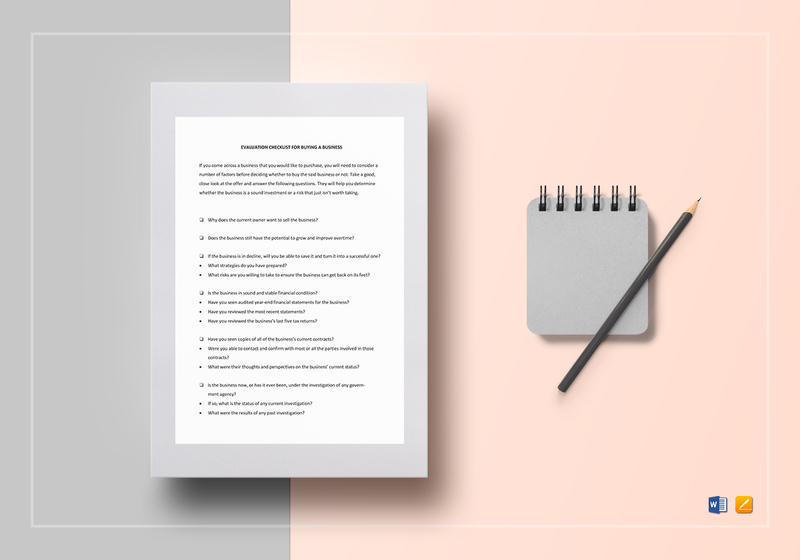 Ensure completeness of a sale by using this Checklist Sale of a Business Template. 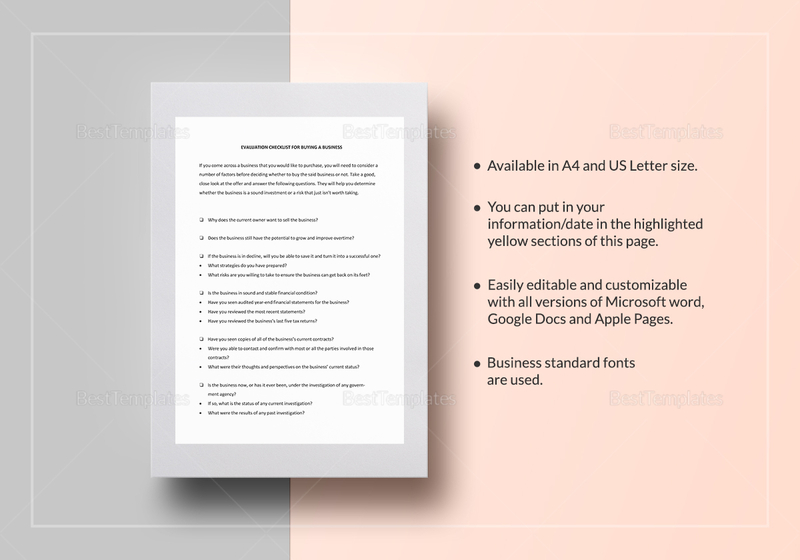 Download now and get instant access to this 5-page document with standard business fonts in A4 and US letter sizes. Edit using your chosen program that is compatible with MS Word or Pages file formats. Take action and download this amazingly effective template.